The JLV Ligature's unique design improves reeds vibrations over its whole length. -This ligature enables musicians to save and optimize reeds increasing their quality and lifetime. -Play the reeds that you once would throw out! -Different sounds depending on the position of the base along the reed. -Base can be inverted to a player's preference. -Every pad is set for a better grip while creating acoustic transmissions between the reed, the ligature and the mouthpiece. -The side screws only need to be adjusted once to perfectly fit your mouthpiece. -Black Edition: A crisper sound. This carbon surfacing is stainless and almost unscratchable! Requires little maintenance. -24k Gold plated: A warmer sound that requires little maintenance. It took Jean-Luc VIGNAUD, inventor and professional saxophonist, nearly 10 years of research, engineering and sophistication to design the JLV Ligature. 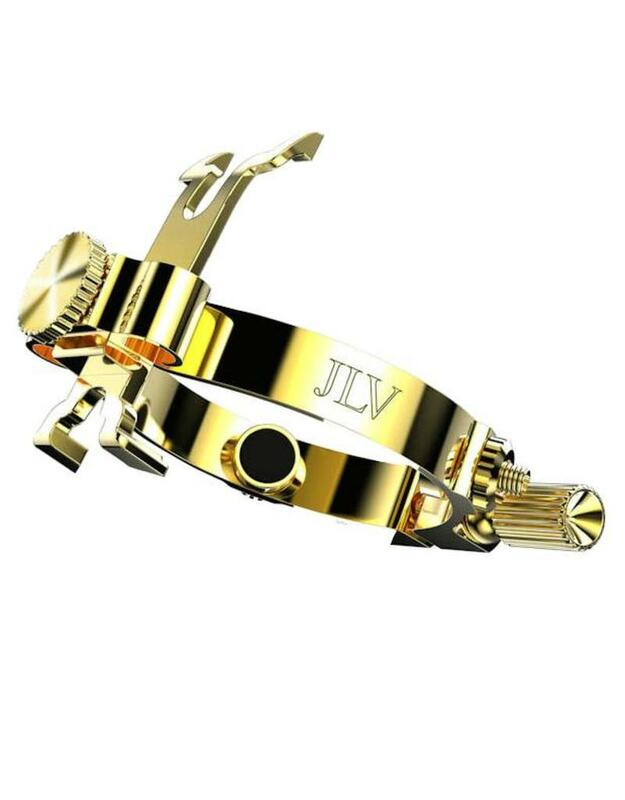 The JLV Ligature is manufactured in France from high-grade materials. It is composed of two main parts, a base and a belt, both cut out of a single brass plate, before being assembled without soldering and placed in a box. 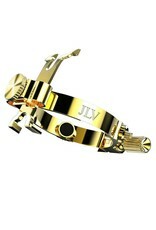 All JLV Ligatures for clarinet and saxophone carry a lifetime warranty!